Earlier this week I was working on the New Color Tuesday (NCT) for November and I just had to try this Skinner Blend of Souffle Bluestone and Premo! 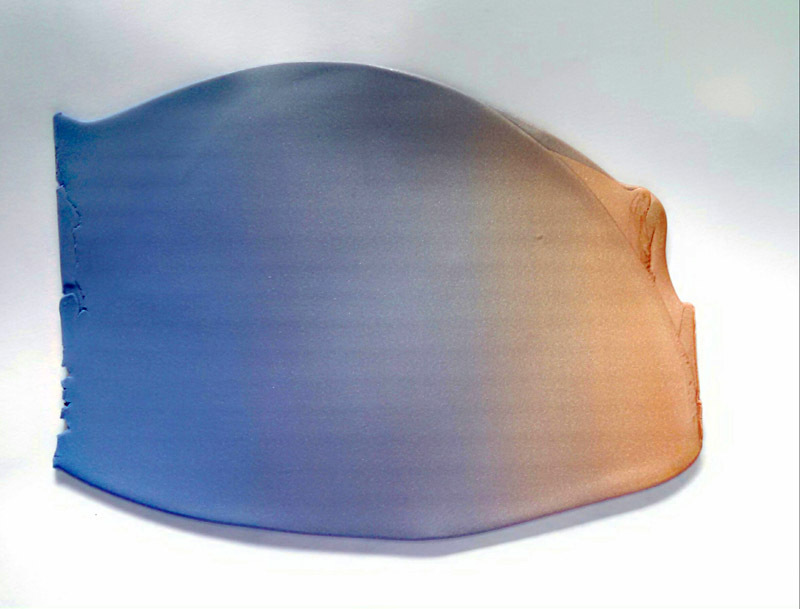 Accents Copper. Bluestone is my all time favorite clay color, so I’m a little stoked about this blend. I posted it on FB and my good friend, Anke Humpert, in Germany commented that it looked like one of the beautiful sunsets that I’ve posted. October and January are our sunset months – no coastal low clouds on the evening horizon to block it. Of course, she was absolutely correct and THAT’S why I love this color! It’s the color of our clouds in the morning and evening sky! So Anke, what do you think? Not too too bad for only having one working wrist! Without the international community, I wouldn’t have known Anke and had the opportunity to have her wonderful insight! 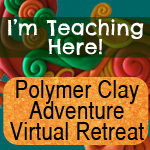 Join over 500 other fellow artists from around the world for the Polymer Clay Adventure next year. 22 different artists are teaching, including Anke and myself! 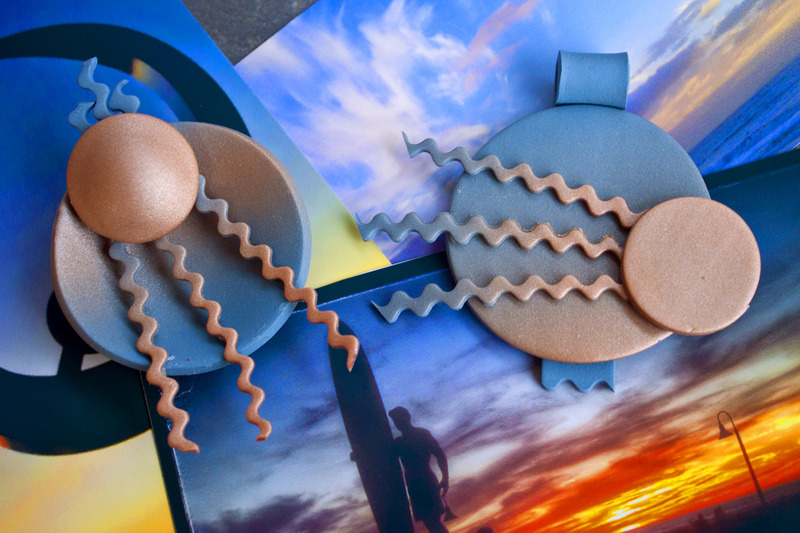 This entry was posted in Clay, New Color Tuesday and tagged New Color Tuesday, Premo! Sculpey, Sculpey Souffle. Bookmark the permalink.